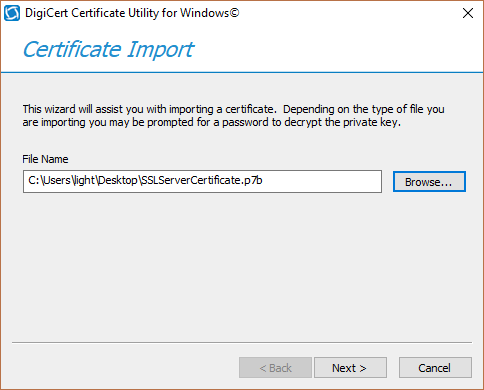 Azure requires a pfx/p12 for its SSL Certificate installation. This file can only be generated from a Windows system or an application. 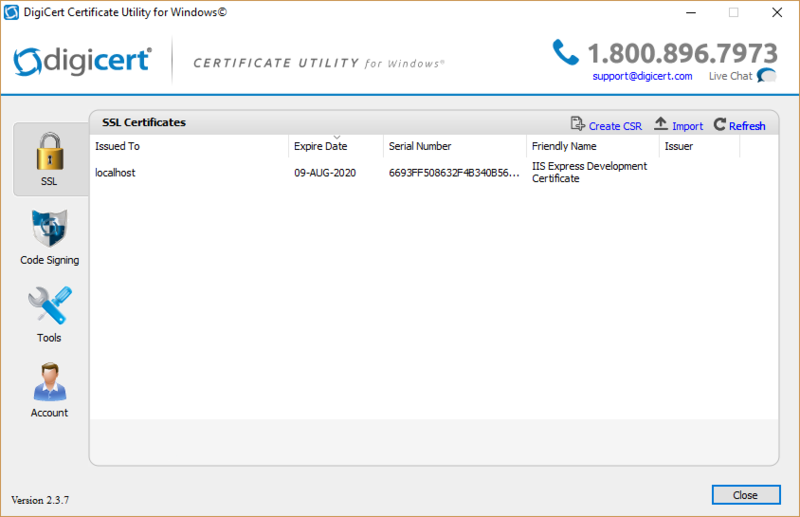 You will never attain such a file from a Certificate Authority. 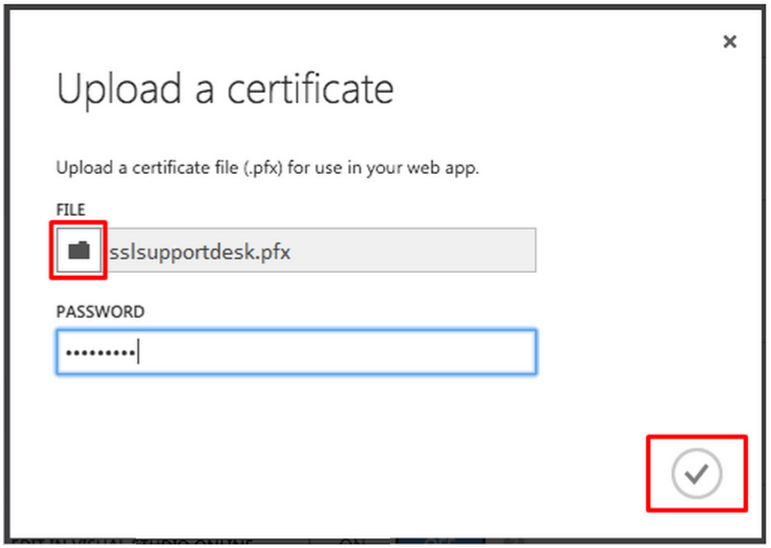 Typically in order to get an SSL Certificate for your Azure cloud services Admins will use Windows Server IIS (Internet Information Services) to generate the pfx/p12 keypair used to import into Azure, but not everyone has IIS. 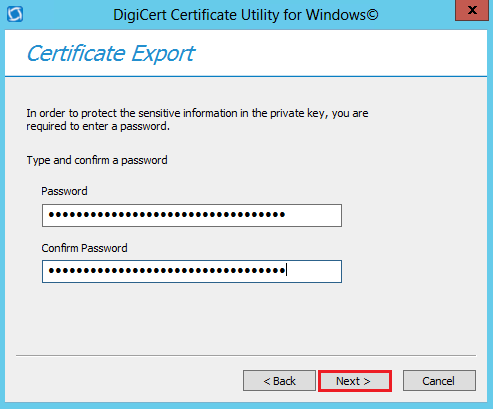 The Digicert Certificate Utility for Windows allows for the ability for admins to create the .pfx file needed for Azure systems without the need for a Windows Server. 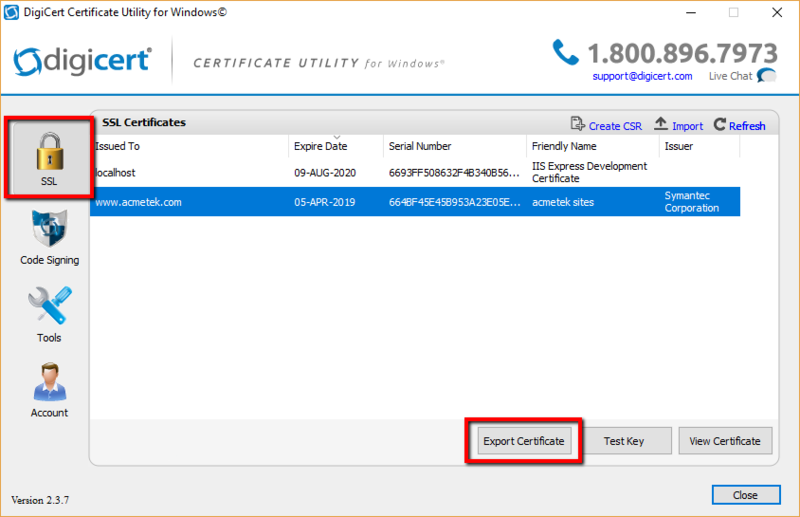 If you use the utility to generate a CSR for an SSL Certificate then once the certificate is issued you will have to import your SSL Certificate using the utility to successfully configure your SSL certificate to create a pfx file. 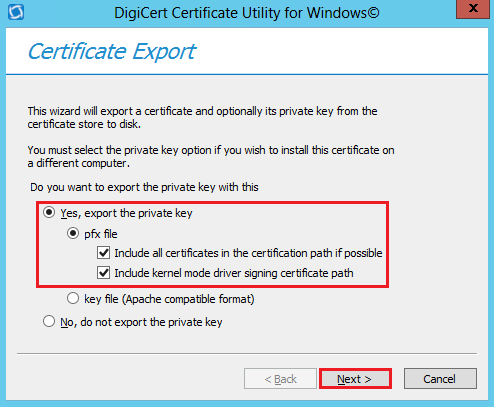 Step 3: Exporting Your SSL Certificate As a pfx From The Digicert Certificate Utility. Note: This password is required when you install or import your SSL Certificate into any other system. Do not forget it. 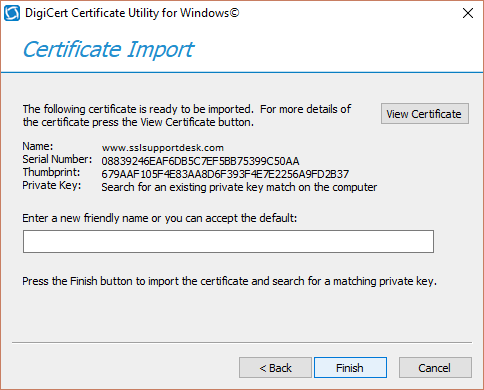 If you do then you will have to repeat the export ofÂ the certificate and create a new password. Click on Cloud Service or Web App you wish to configure and then select the CONFIGURE tab. Under certificates click upload a certificate. 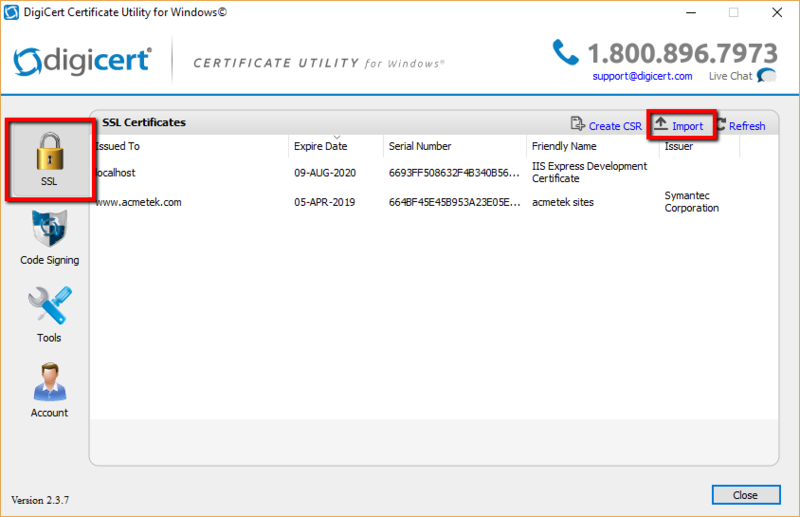 On the Upload a certificate window click and browse to your pfx file that you had saved in Step 2. 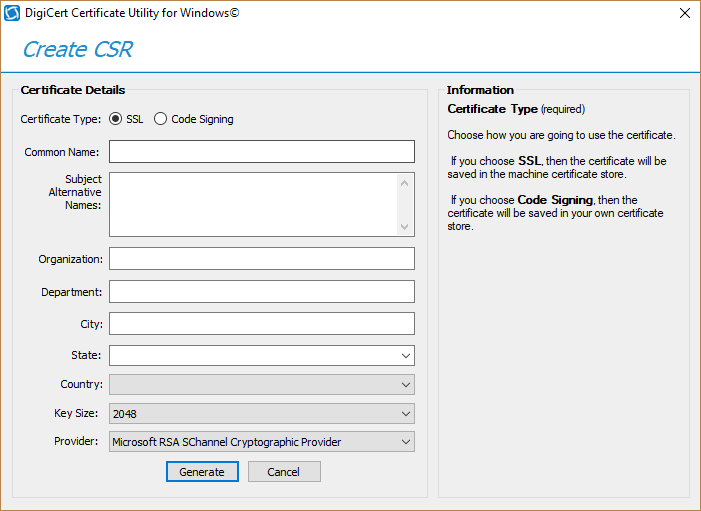 Specify the password for the pfx file you had created. Click on the to confirm. After Upload your SSL certificate will be available under the “Certificates” section. Under ssl bindings, In the Choose a domain name drop-down list, specify the domain that you want to secure with SSL. In the Choose a certificate drop-down list, select the new SSL Certificate that you want to use to secure your website. Select whether to use Server Name Indication (SNI) or IP based SSL. IP based SSL: associates a certificate with a domain name by mapping the dedicated public IP address of the server to the domain name. This requires each domain name (domain.com, www.mysite.com, etc.) associated with your service to have a dedicated IP address. This is the traditional method of associating SSL certificates with a web server. SNI based SSL: is an extension to SSL and Transport Layer Security (TLS) that allows multiple domains to share the same IP address, with separate security certificates for each domain. Most modern browsers (including Internet Explorer, Chrome, Firefox and Opera) support SNI, however older browsers may not support SNI. For more information on SNI, see the Server Name Indication article on Wikipedia. Click Save to save the changes and enable SSL. Your SSL certificate is now installed and configured for its website. 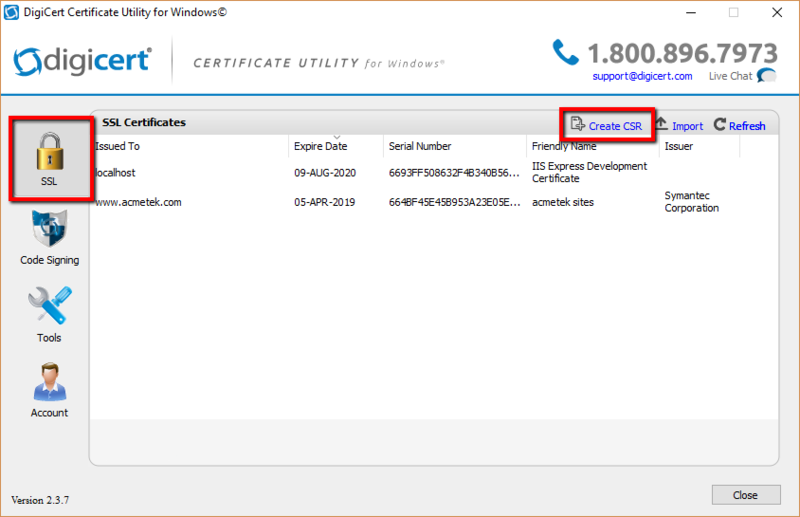 If you are unable to use these instructions for your server, Acmetek recommends that you contact either the vendor of your software or an organization that supports Microsoft. For more information refer to Microsoft Azure.